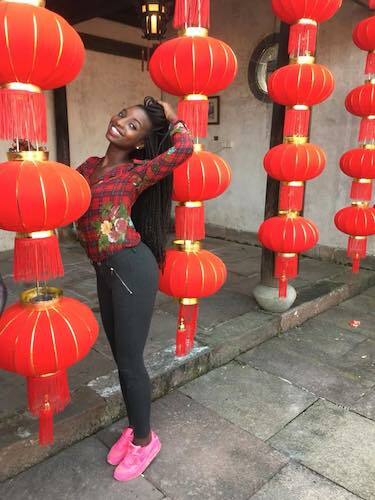 The Miss World contestants are currently enjoying the second leg of their tour of China. For the last four days, the delegates have been enjoying the sights and sounds of the Huanghsan area. 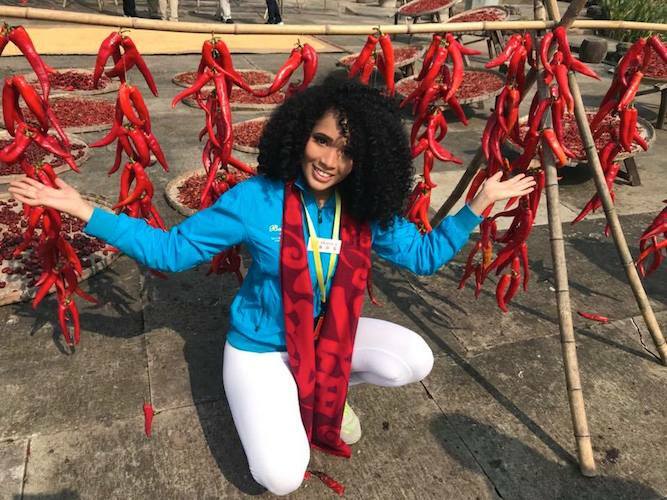 It was here in Huangshan (Yellow Mountain) in Anhui Province, Eastern China that the opening ceremony took place. 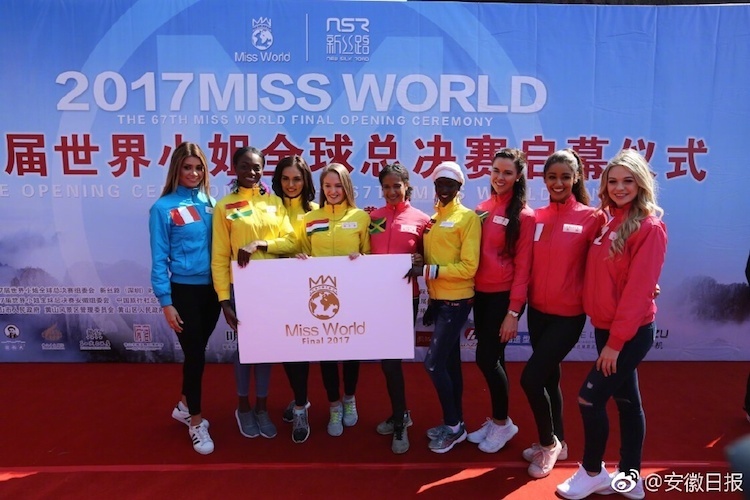 The ladies paraded in their colourful tracksuits representing the colours of the teams they have been grouped in much to the delight of the locals and a few members of the media.